What are Community & Social Investments? Social Investment loans are a Government initiative to encourage investors to lend to good causes, providing tax relief as an incentive. These loans may have lower returns or higher risks, but the tax incentive is offered to reflect the adverse aspects of the loan. There are 2 types of tax relief available; Social Investment Tax Relief (SITR) and Community Investment Tax Relief(CITR). SITR is available for those directly investing in a social business, giving the lender interest on their loan plus 30% of their investment back from HMRC. Individuals making an eligible investment can claim 30% of the cost of their investment from their income tax liability. The investment must be held for a minimum of 3 years for the relief to be maintained. The CITR scheme provides a tax incentive to investors in enterprises within under-invested communities. This is available to individuals and companies that invest in accredited intermediary organisations, called Community Development Finance Institutions (CDFIs), which in turn invest in enterprises that operate within or for disadvantaged communities. Individuals investing in CITR loans can earn tax relief of 5% of the capital invested per year over a 5 year period. SITR is only available to UK income tax payers, CITR is only available to UK income tax payers and corporation tax payers. Tax treatment depends on the individual circumstances of each client and may be subject to change in the future. Capital is at risk. For more information on the loans and SITR and CITR tax incentives, please visit www.communitychest.co.uk/investing. For specific circumstances please refer to the HMRC definition for SITR and CITR. 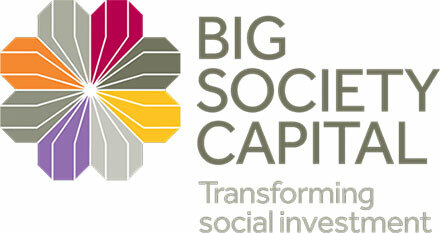 Big Society Capital (BSC) is a financial institution with a social mission. It was set up to build the social investment market in the UK, so that charities and social enterprises can access appropriate repayable finance to enable them to grow, become more sustainable and increase their impact on society. It is doing this by building a diverse social investment market; encouraging investors to lend or invest money to achieve a social as well as a financial return. More about BSC. Community & Social Investments opportunities are not always available on the ThinCats platform. Therefore, if you sign up below we will keep you up to date and notify you whenever a community or social loan is featured on ThinCats. What is the maximum investment I can make? To qualify for SITR tax relief the maximum you can invest is £1,000,000 across any number of qualifying businesses in any one tax year. For CITR there is no maximum investment. Please note to qualify for tax relief the investor has to be a UK tax payer. Is there any security involved with community and social loans? Unfortunately not. The very nature of the community and social loans is that they are unsecured, meaning there is no security to call upon if the borrower defaults. Were they secured, they would not qualify for the SITR and CITR tax relief. Can I sell my loan parts to others? No, community and social loans are not tradeable. Again, this is a condition of qualifying for the tax relief in that they have to be held for the full period of the loan. How do I know these loans qualify for tax relief? All community and social loans have been brought to the platform by our specialist introducer, Community Chest Business Loans Ltd. They have conducted all necessary checks to make sure that each loan qualifies for the appropriate tax relief. Confirmation of the loan qualifying for tax relief will also be made in the information packs. Does ThinCats offer any tax advice? ThinCats does not offer any tax advice. You will need to seek independent advice if you are unsure about your individual circumstances. For specific circumstances please refer to the HMRC definition for SITR and CITR. Wish to become an investor? Join today and start browsing our market for investment opportunities. Our most popular queries are covered in our extensive investor FAQs.